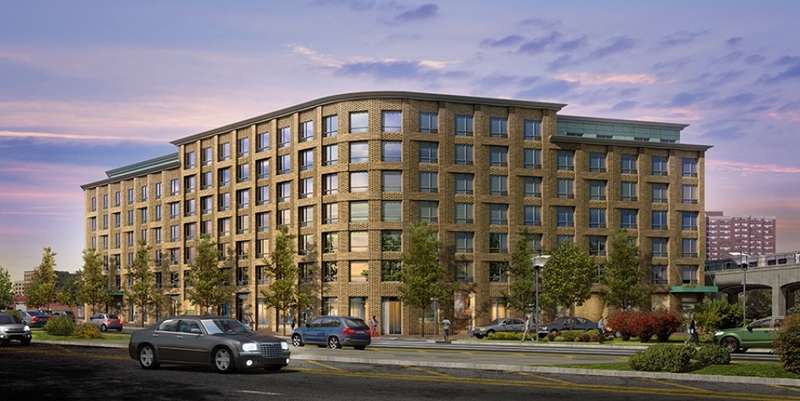 Beach Channel Senior Housing is a 100% affordable seven-story mixed-use development that will provide 154 new apartment units for low-income seniors - 46 of which will be specifically reserved for the formerly homeless. 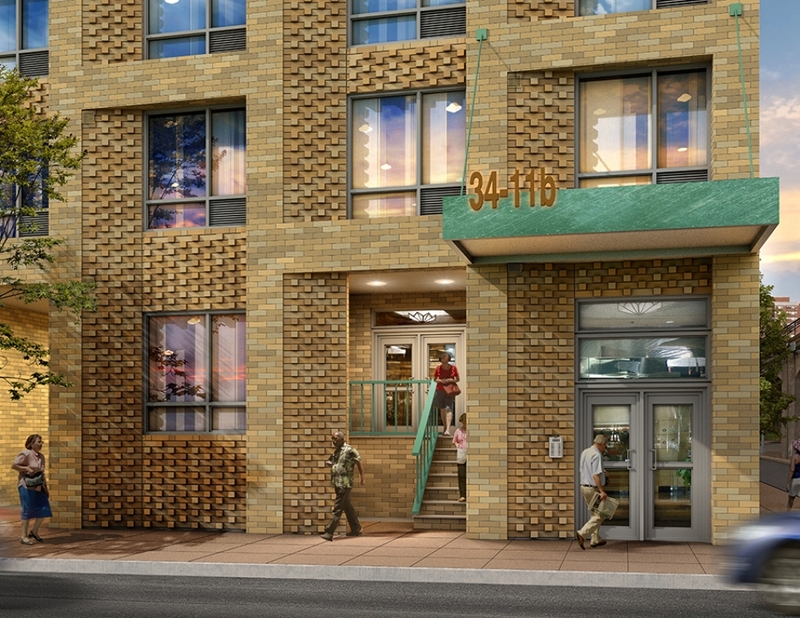 This project was the first to break ground under Mayor DeBlasio's $350 Million program to provide affordable housing for seniors in need, a key part of his Housing New York plan. 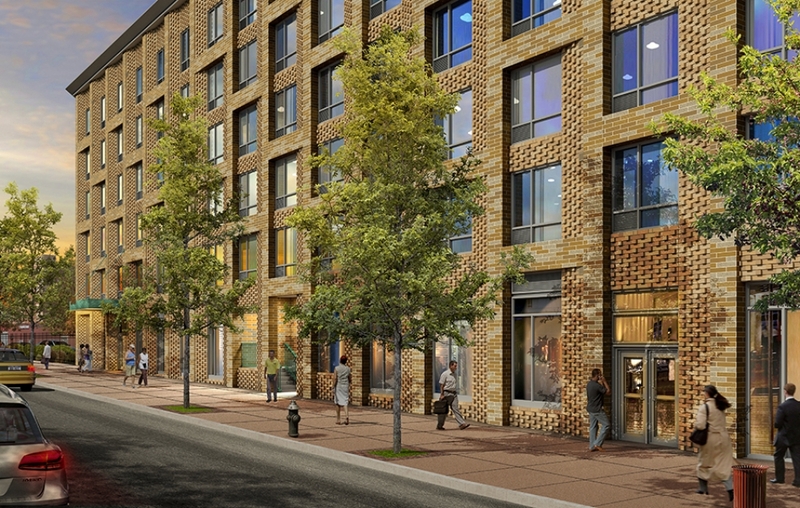 In addition to the 154 residential units, there will be 4,500 Sq. Ft of commercial space on the ground floor, 4.500 Sq. Ft. of community space, and on-site attended parking. The development will also offer non-profit services for residents, including supportive counseling and other social services, supplemental meals, and health care referrals. Additional amenities for residents will include indoor and outdoor recreation areas, a computer room with internet access, and a club room for social events and activities. This project was designed to incorporate Enterprise Green Communities building standards, and features an energy efficient insulation system, low-flow fixtures, LED lighting in common areas, and solar panels. This building is also equipped with flood prevention technology, and in the event of a flood will employ protective flood gates and generators to keep all residents safe.